Let there be light. 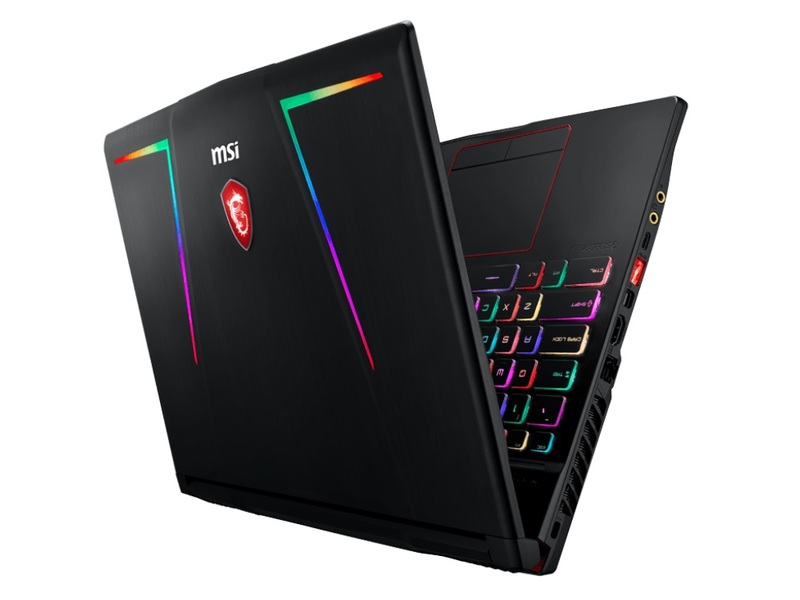 MSI adorns its GE series laptops discreetly, with just some RGB lighting on the device’s display lid. The GE63 8RF Raider is equipped with Intel Coffee Lake processors, a generational improvement from its GE predecessors. Find out in this review how the GE63 8RF Raider performs, and about its fan noise, its power consumption and its battery life. 90% MSI Raider GE63 8RF Review: Is MSI’s all-rounder a lemon or a Lambo? MSI Raider GE63 8RF Review – MSI makes a bewildering array of gaming laptops. They come in all shapes and sizes from big, noisy and fast, to thin, light and portable. The Raider GR63 seeks to be an all-rounder – a gaming notebook that remains portable and sober enough to use for work. 80% Recensione MSI GE63 Raider RGB 8RF: Coffe Lake e GTX 1070. What else?